Lately it has been showcased quite often in the news that the year 2015 was appreciably good for automobile sales particularly in America. Ever since global recession hit the market in 2008, automobile manufacturing and sales has been recuperating steadily with the last commercial year seeing an impressive surge in sales from companies all over the world. With economic stability, the past year has also been quite good for the new cars that were launched with quite a few models attaining record sales margins. Under such circumstances the anticipation surrounding new cars to be launched in 2016 is at its peak. Dominating brands are working endlessly to upgrade features, performance, power, and speed while maintaining better safety, utmost connectivity and convenience for global customers when it comes to the newer models of cars. Let us take a look at some of the best new cars in 2016. After Bugatti Veyron dominating the pinnacle status among supercars globally, this new brainchild from Bugatti is already making headlines with its numbers. Boasting of 261 mph top speed, 1479bhp, 4-turbo, 16-cylinder engine and intricately engineered systems, Bugatti Chiron is a rich-man’s dream and is slated to launch in summer this year. 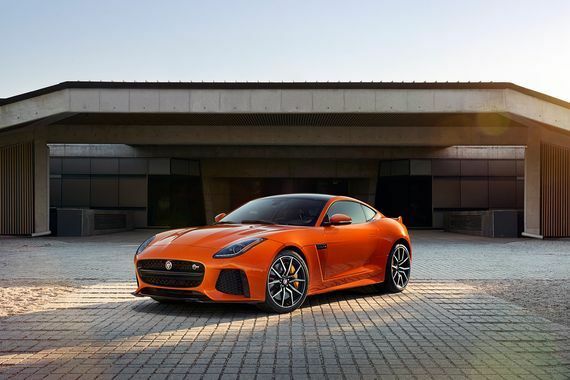 Jaguar has a lot on its plate along with its first proper SUV model also being launched this year but the F-Type SVR smoothly sails Jaguar very close to the supercar league. With 200mph top speed, light-wheel alloy and carbon-ceramic brakes amongst other horde of impressive features, Jaguar F-type SVR which is available in both coupe and convertible models is already causing a stir among auto-nerds as the most dynamic car of the year. Slated to be available for sale in autumn this year, Honda NSX is a surprise entry into the list of top-notch competitors in this year’s automobile market. 3 electric motors equipped along with a 9-speed auto gearbox and a twin V6 turbo engine all loaded in a light-weight chassis makes Honda’s latest model a unique cocktail. Reaching a top-speed of 191 mph, the Honda NSX is now considered to be amongst the best cars launching this year.